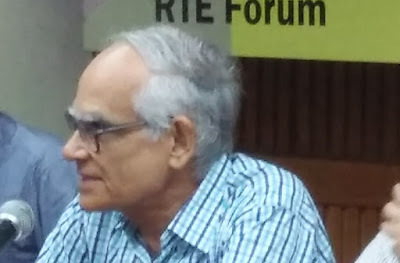 A recent Right to Education (RTE) Forum consultation in Delhi has revealed that the Government of India’s and state governments’ allocation for education is not even half of what well-known the Kothari Commission had recommended way back in 1964. The commission wanted it to be 6% of the Gross Domestic Product (GDP), an amount endorsed by the National Policy on Education more than two decades later (1986). 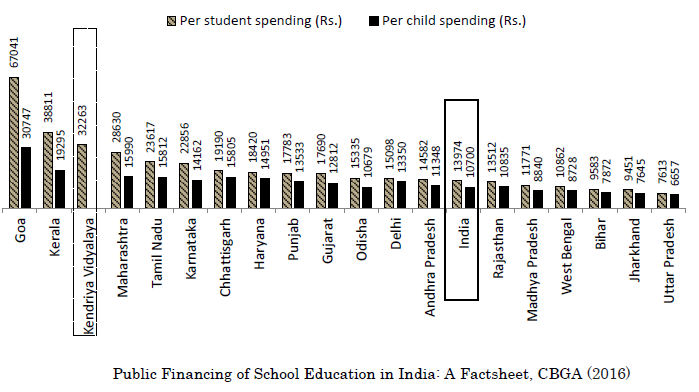 The paper, authored by Prof Protiva Kundu, says that per student spending is on education is Rs 13,974 per year, with wide variations across states. Thus, the highest spending is of Goa with Rs 67,041, and the lowest is of Uttar Pradesh Rs 7,613, said Prof Kundu, adding, the Kendriya Vidyalayas, which are considered as ‘model’ schools financed by the Union Government, spent around Rs. 32,263 per child, and should be considered as benchmark. The paper further says that the Sarva Shiksha Abhiyan (SSA), which is supposed to be the main vehicle for implementing RTE after the Act came into force in 2010, was not being supported by adequate resources. “It was expected that there will be a big-push of resources for SSA to meet the target of universalization of elementary education. 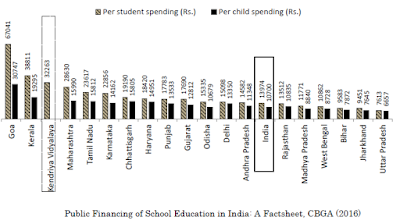 Conversely, SSA is severely under-funded”, Prof Kundu regrets in the paper. After 2015 the condition of the education system has been improved. Nice article, I would like to share it with https://typicalstudent.org/ team. This is must to every nation that, they have to spend a large part of budget on education, if the children will get the right education then the country will automatically grow.